Centro MundoLengua considers the health and safety of students while studying abroad priority number one. For peace of mind, students can purchase full health insurance included with one of Spain’s most reputable providers, Mapfre Insurance. This covers all medical emergencies. Supervision and 24-hour support are provided for students on-site by our multi-lingual staff. Centro MundoLengua provides a level of personalized attention for each student unseen in other programs, with the end goal that students adapt to their new environment and feel “at home” in Spain. Studying abroad is an excellent investment in your son/daughter’s future. By studying abroad with Centro MundoLengua, your son/daughter will grow at an academic, personal, and professional level. Learn the Spanish language and practice it on a daily basis with native speakers at the university, and with the host family. Discover the culture of Spain firsthand, not simply as a tourist. Learn from a different teaching style. Take unique classes not offered at the home university. Earn academic credits while in Spain, often at the same or better prices than at home. Receive one-on-one academic support from MundoLengua’s tutors. Have the opportunity to travel in Spain and beyond. Gain independence, autonomy, and maturity. Be able to adapt more easily. Meet friends from all over the world and make lifetime friendships. Better face challenges in the future. In today’s world, employers increasingly value an overseas experience. By studying abroad with Centro MundoLengua, your son/daughter will develop a wide range of skills, will become more marketable upon graduation, and will increase employment prospects. 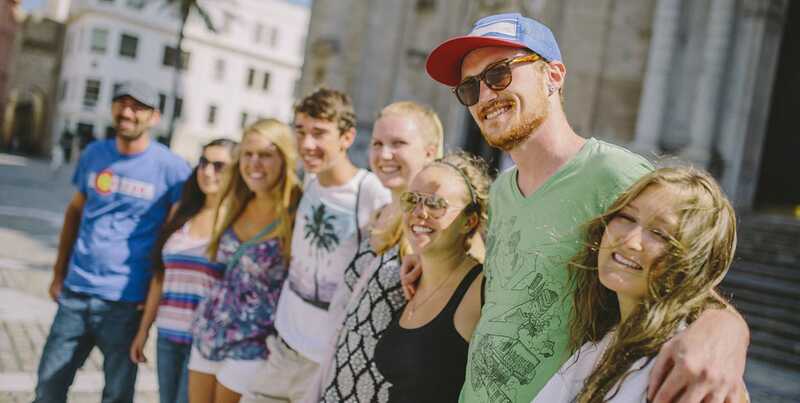 Understand Spanish culture and be able to adapt to new environments. Get better prepared for an increasingly global world. "My daughter has taken the opportunity to study abroad in Spain twice, and both times she coordinated all of her arrangements through Centro MundoLengua. While her mother and I were nervous for her first trip, we quickly came to understand and appreciate Centro MundoLengua's comprehensive approach to effectively managing all of the student's needs and risks, while at the same time ensuring a rich and positive experience. So when it came time to consider a second trip with Centro MundoLengua, we had no concerns. Their programs are well thought out, down to and inclusive of ensuring easy communications, well orchestrated travel arrangements, accessible service and support while abroad, and a sense of compassion for both the students needs as well as the parents. I highly recommend Centro MundoLengua to anyone considering an opportunity to study abroad. " Troy F., College of William & Mary.